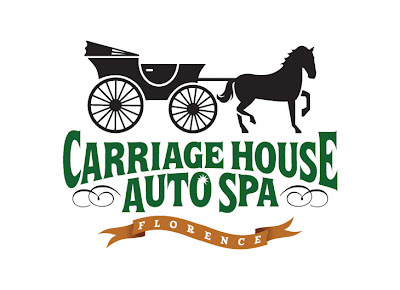 Carriage House Auto Spa is a growing franchise of car washes offering a "spa-like" experience to discriminating car owners. They offer state-of-the-art technology that is approved for use by BMW and Mercedes-Benz. When looking to re-brand themselves for growth, they wanted to emphasize their combination of technology and service, with an emphasis on classic luxury.